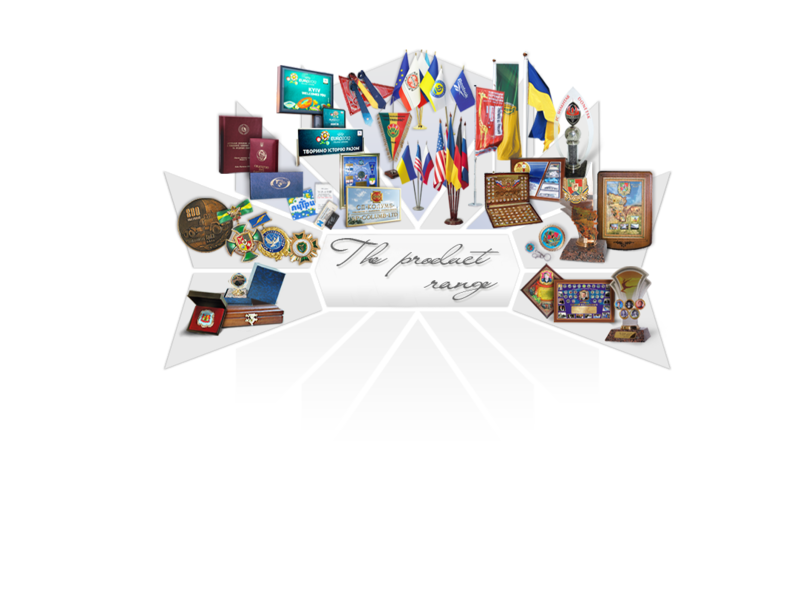 Since its founding SP Columb Ltd is the leader in the production of the flags and souvenirs on the territory of Ukraine. A wide range of products, such as public and corporate flags, advertising and promotional flags, pennants, banners, flagpoles and stands of flags, as well as medals, badges and awards are made on the modern, high-tech production facilities of our company. In great demand among our customers are heraldic products and business class gifts. Our company does not stand still. We actively develop and put into manufacture new products. So, recently, we have arranged production of quality textile labels and stickers, signs, plaques, and other promotional products. SP Columb Ltd does not work with the contractors, all our products are manufactured at our own production base. It allows us to control and maintain quality of the products at the highest level.